Paradigm Nivan is a joint residential development of Paradigm Realty, Dotom Realty, Fortune Group and Jai Mata Di Developers at Khar West, Mumbai. This project has lavishly built 2BHK, 3BHK, 4 BHK & 6 BHK apartments with modern interiors. The project hosts forty eight prudently designed exclusive lavish 2 and 3 BHK apartments which are even modular to undergo permutations and combinations in the form of customized 4BHK (2BHK + 2BHK) and 6 BHK (3BHK + 3BHK) units to suit spatial needs. Nivan Apartments is one of the popular residential developments in Khar West, neighborhood of Mumbai. It is among the ongoing projects of Paradigm Realty. It has lavish yet thoughtfully designed 2BHK, 3BHK, 4 BHK & 6 BHK apartments with modern interiors.This midtown project is a premium tower that comprises specifications like ample parking in basement, G+2 which occupies a shopping center on the ground floor while the first two floors feature commercial spaces for boutiques and offices, while the remaining 13 stories cater to the luxe residential segment.The curated landscaping is interspersed with a plethora of facilities spread over an area of 4,500 sq. ft. Not just that, the property also endows buyers with landscaped car-free podium garden on the 3rd level to rejuvenate. 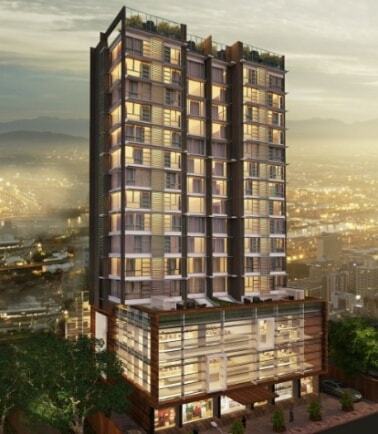 Paradigm Nivan is an unmatched Residential property located in Khar, Mumbai. The project offers plenty of benefits that includes prime location, comfortable and lavish lifestyle, great amenities, healthy surroundings and high return. Paradigm Nivan is strategically located and provides direct connectivity to nearly all other major points in and around Mumbai. It is one of the most reputable address of the city with easy access to many famed schools, shopping areas, hospitals, recreational areas, public gardens and several other public amenities. Nivan project Located in one of the most prominent and favourable location of Mumbai Khar West, Maharashtra. The amenities& facilities offered in Paradigm Nivan are 24Hr Backup Electricity, Air Conditioning, Car Parking, Gymnasium, Intercom, Jogging Track, Landscaped Garden, Lift and Security. All these features together assure many choices to relax, revitalise and relish at own home. Apart from that, suitable security devices are installed to ensure safety to the residents 24x7. Schools: - Beacon High School, The Montessori School, LilavatibaiPodar High School, Cardinal Gracias High School, Kangaroo Kids International Preschool. Hospitals: - Shroff Eye Hospital and Lasik Centre, Lilavati Hospital, The G Clinic, Hinduja Healthcare. Movie Theatres: - DeluxThreatrePvt.ltd, Gemini Cinema, Flying Unicorn, Movietime Suburbia. Shopping Mall: - Shoppers Stop, Upkar Stores, Max Fashion. Banks/ ATMs: - State bank of India, Karnataka Bank, Standard Chartered Bank & ATM, Citi Bank ATM. Railway Stations: - Khar Station, Sion Station, Bandra Terminus, Santacruz Metro, Mahim Junction. Restaurants: - Olive Bar & Kitchen, Global Fusion, China Gate, Salt Water Café, Hotel Arma Court.